With the CA fires going on right now, the AQI is measuring between 200-300 (250 now outside where I live). I feel this in my chest, nose and lungs; it's horrible. I have two little girls (one is 2 years and one is 3 months); naturally I'm super concerned about the air quality and risk to their less developed systems. 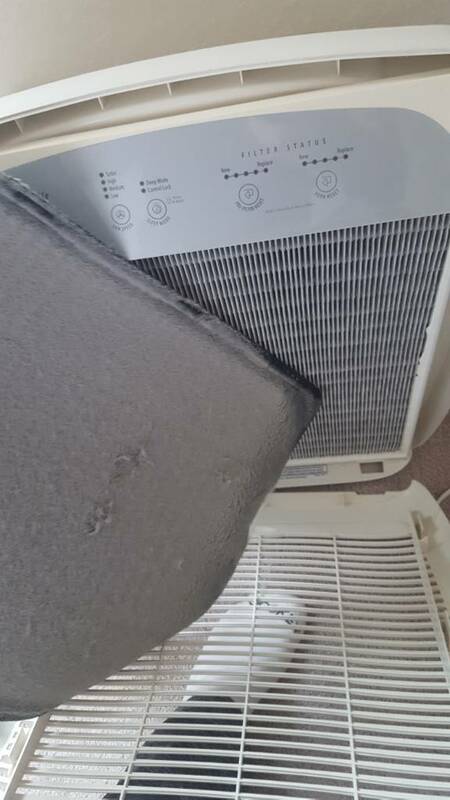 I have changed all my HVAC filters, but need to do everything I can to clean the air inside. 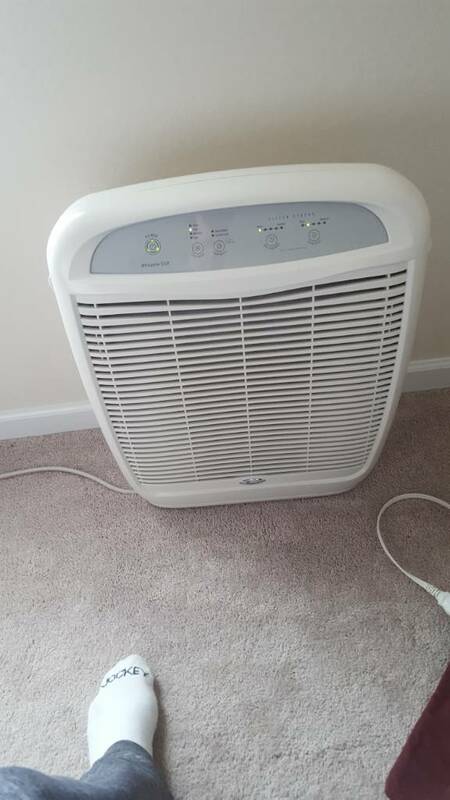 What air cleaners do you all recommend for throwing in their room? Based on Randy's last post, I'm not thinking Molekule is the right answer...what portable air cleaners do you all recommend? Be careful about putting a highly restrictive filter in your furnace. There are alot of stand alone units out there. In my opinion simple is good. 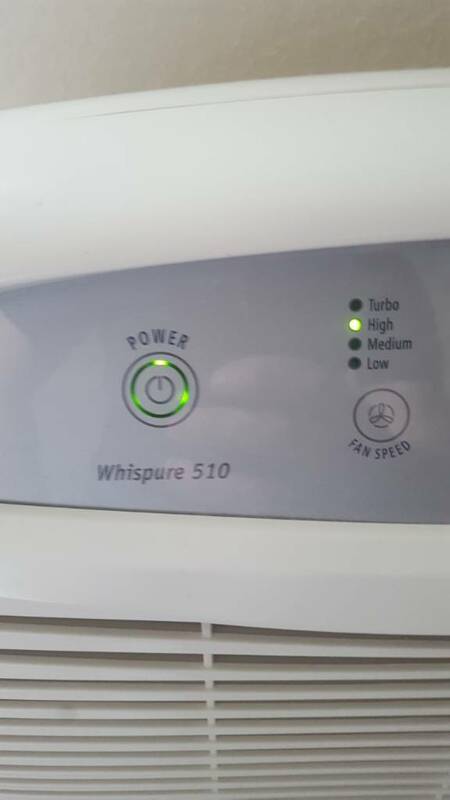 I bought a Whirlpool Whispure 510 a few years ago to run in the bedroom to help with ragweed allergies. And gives a nice fan noise at night. Its just a carbon pre-filter, HEPA filter and a fan. I am amazed of how much dirt this thing picks up. I vacuum the pre-filter every few months. As you can see its due lol. It has been running 24/7 365 for probabley 4 years. There are some high dollar units out there but this is a nice one. Based on Randy's last post, I'm not thinking Molekule is the right answer...what portable air cleaners do you all recommend? Evidently my post was not clear - Apologies. I did Not find the MoleKule effective for VOC reduction. I've provided a snippet of my post concerning the MoleKule below. What you need is good HEPA filtration for the fallout from the fires. Most of the immediate danger is particulate matter. This can be effectively reduced with HEPA filtration. See my previous post section on Particulate Matter. Particulate Matter and VOC are distinct components of IAQ. Your most immediate concern is Particulate Matter pollution. Easy to contain indoors with external HEPA devices. I use a couple of Coway units. The benefit/cost ratio of this device is very high. 1.MoleKule is a variant of PCO called PECO. This is a valid, patented technology developed by real academic scientists. The claim is that PECO produces more oxidizing agents than standard PCO. 3.The device uses UVA photons as opposed to UVC. UVA LEDs can be used instead of UVC bulbs. This means a much longer life span. No need to replace bulbs every year or so. Not to mention decreasing performance as the bulbs wear out. 4.MoleKule contracted a professional 3rd party testing and provided all the details. Unfortunately their testing for VOCs does not relate to real world residences. devoted significant time and material in attempting to resolve my issues. These guys are real scientiest that publish in scientific journals. from Pine Environmental. I was confident that the ppbRAE3000 was reliable for relative readings. in a number of different locations. I let the MoleKule run for days in different rooms before testing. I also let the MoleKule run for up to 24 hours between test. Could I be doing something wrong? Absolutely but for the life of me I can figure out what. Perhaps the MoleKule needs to run for days or weeks for significant reduction. If that’s true MoleKule should say so. Recently MoleKule announced that they have new 3rd party VOC testing soon to be released. Maybe that will throw some light on the discrepancies.